Let me start off by saying I rarely venture into Walmart. I live in Tennessee, and just trust me when I say you never know what’s going to happen when you venture into a Walmart. I’ve had some weird experiences. However, I went in to scope out their clearance and browse around since I was bored and feeling antsy. I ended up coming across a few gems that I can’t believe I haven’t seen many reviews on yet! I don’t own many Hard Candy things since what I have tried by them has been bad (for me) but I saw they had some really cool new things, including new eyeshadow palettes! 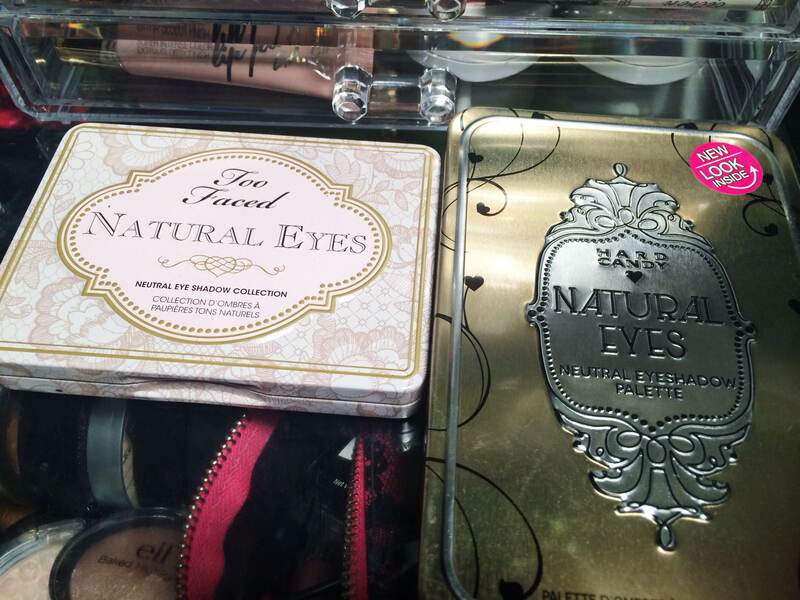 What caught my eye the most about these palettes was how similar they looked to the Too Faced tin palettes…and I had a hunch that the one called “Natural Eyes” may be a dupe for the Natural Eyes palette by Too Faced. The packaging is obviously different, but still it’s the same concept. ARE YOU ALL SEEING THIS? They look so similar! I’m so blown away by this right now! The Hard Candy palette actually comes with more goodies though. It comes with a primer and an eyeliner. 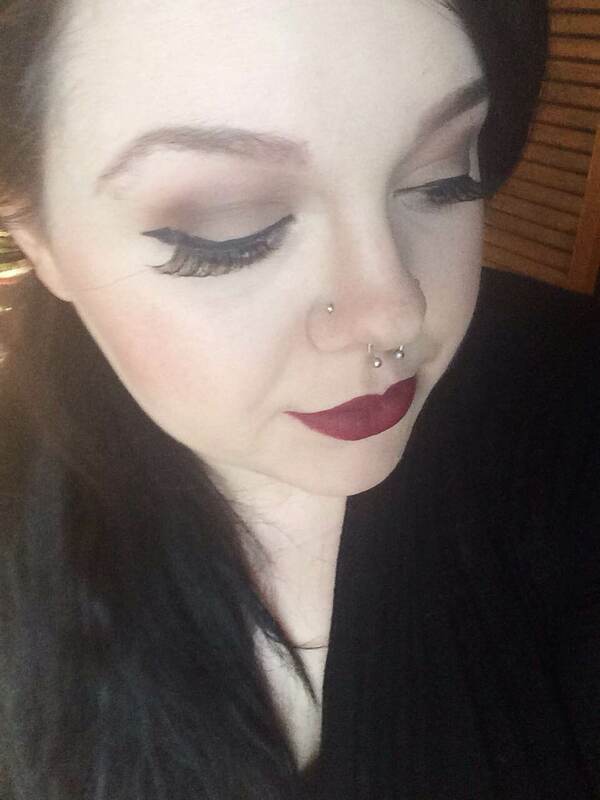 The eyeliner is meh (they usually are) but the primer is actually really nice! 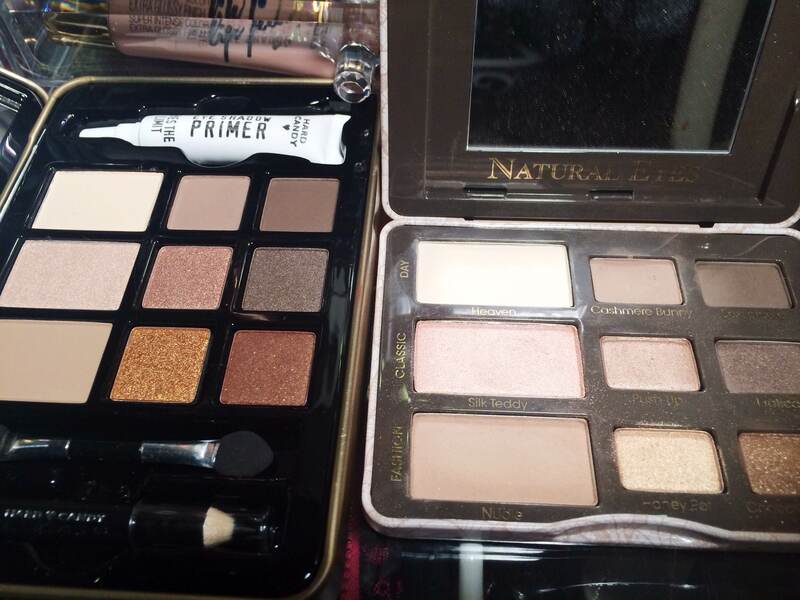 I decided to do true side by side swatches…and the two palettes are truly very similar! Are they exact dupes? No. 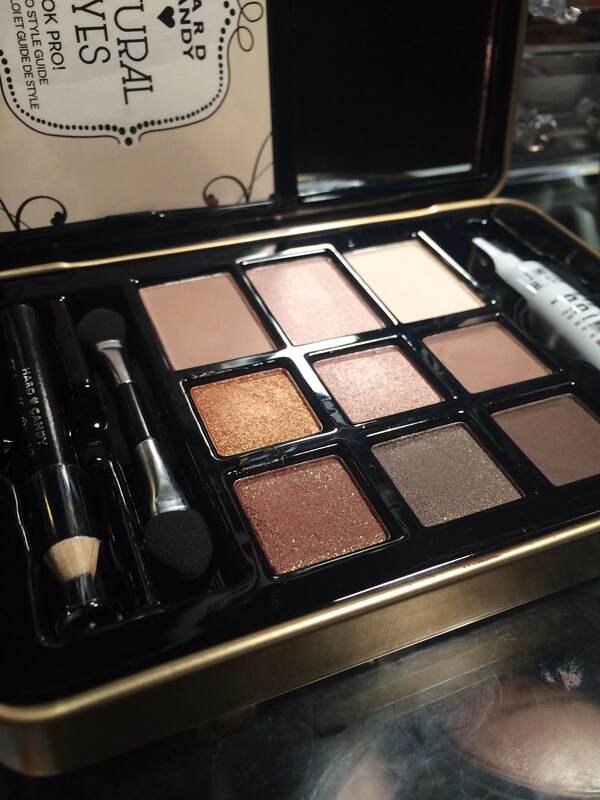 But if you’re looking for a cheaper alternative, try this palette out. While I was swatching the Hard Candy one I noticed the shades are very creamy and buttery, which is unusual for drugstore shadows. 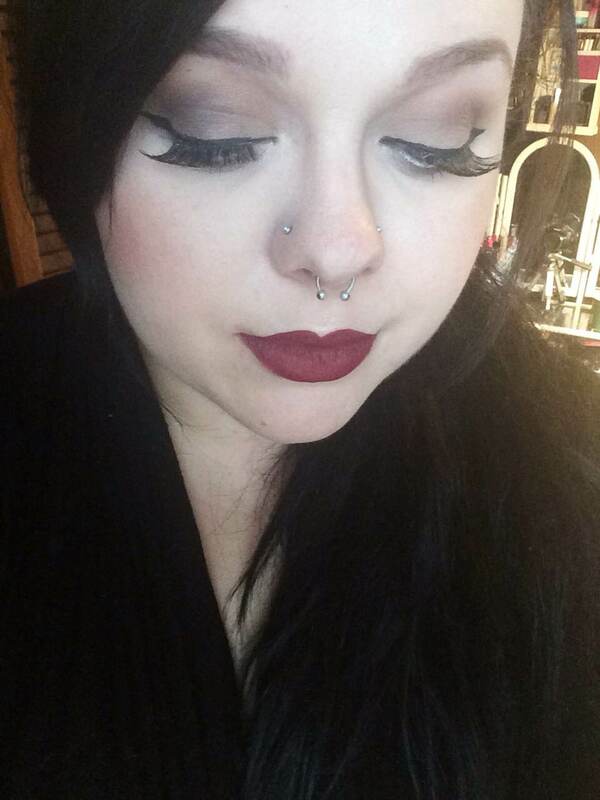 A few shades were a bit patchy, but not too bad. I’m overall super impressed with them. This is the side by side swatches, and I did put an awkward line down the middle to differentiate. The Too Faced Natural Eyes palette is always going to have a special place in my heart, but I really love the Hard Candy one as well. I did swatch these over primer since that’s how most people wear shadows, and because I’m so pale that if I don’t some shades just don’t show up. I may end up going back and picking up the Sassy one as well…because I’m sassy, that’s why. This is a quick look I put together with the palette to test out how well they work with brushes. They blended beautifully! The matte shades are so pigmented and buttery, I’m in love already. The primer was really nice as well, and my shadows did not crease at all! My overall thoughts are if you come across this, buy it. You can’t really go wrong with a palette like this that’s also cheap. 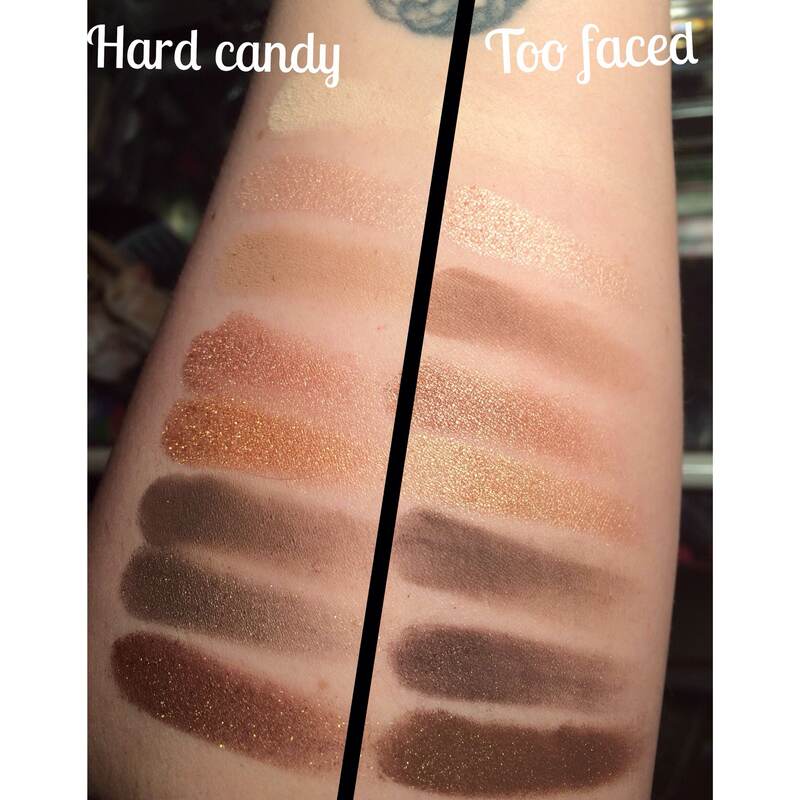 I had a hard time finding reviews of the new Hard Candy stuff, but if you have reviews of your own, please feel free to link them in my comments section! Or suggest something for me to try! I did pick up one of their new foundations since the shade looked paper white (my perfect shade, yes!) so if you’re fair skinned and want to see my thoughts, make sure to follow me for updates! As always, thanks for reading. Have a great day, lovelies. This is an awesome post! The palette looks beautiful, I might just have to go get one! Do you know if Hard Candy is Walmart-exclusive? Thank you! And I believe so, at least that’s the only place I’ve ever seen hard candy products sold. That’s a great find! There’s a pretty decent (not weird) Walmart nearby, so I’m going to go check out the Hard Candy stuff next time I go! Definitely get one! They actually have a lot of new stuff out, and I think I read they even have a setting spray? Haha “because I’m sassy that’s why” I saw these but didn’t pick them up and now I’m wishing I had. They really are quite similar to each other! They are! I know they couldn’t make them exact because they literally named it “natural eyes” lol. I think I’m gonna see if one of the others is similar to the Boudoir Eyes palette. Ha that would be pretty messed up. I didn’t even see the Boudoir Eyes look a like! Cool!